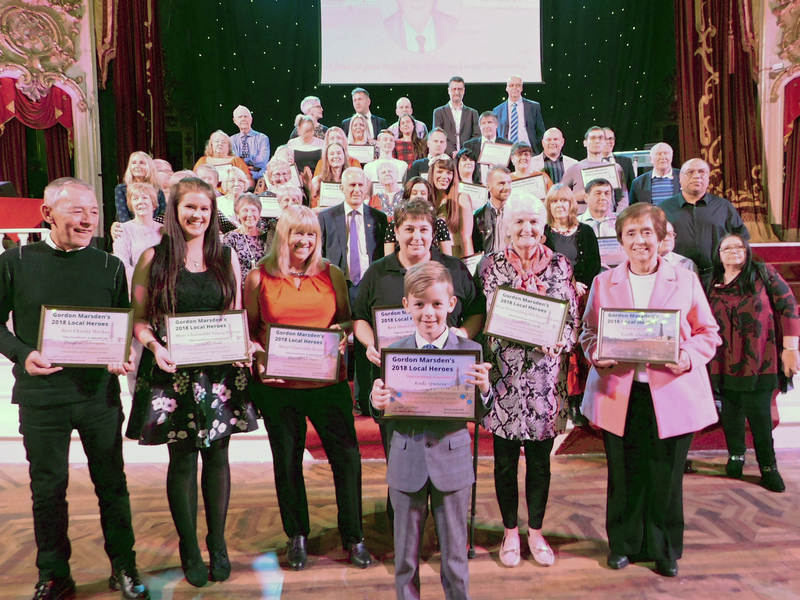 N-Vision was shortlisted in two categories of MP Gordon Marsden’s Community Heroes awards – and walked away with a very special certificate in tribute to, and memory of, a very special man, the late Keith Gledhill MBE, a leading light of The Blackpool Fylde and Wyre Society for the Blind for many years. Dorothy was one of nine nominated in this heavily contested category, with a well-deserved victory going to Shughie Morrison, who helps others fight addiction and the issues that go with such. 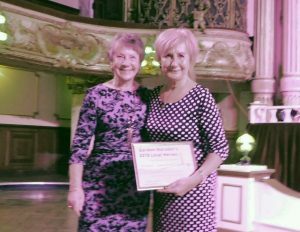 The Highfield Road shop was shortlisted for Best Direct Help Charity – along with Blackpool CAB, Blackpool Centre for the Unemployed and The Bridge Project. Shop manager Mags, Margaret Evans to use her Sunday name, and her volunteers were praised for “tireless work to support those who are visually impaired” and so much more. Mags and her friend Judith Spencer, who also volunteers there, were both invited to claim the certificate. Bev Taylor received the award for The Bridge Project which works with some of the most vulnerable people in the community at a time of crisis in their lives. 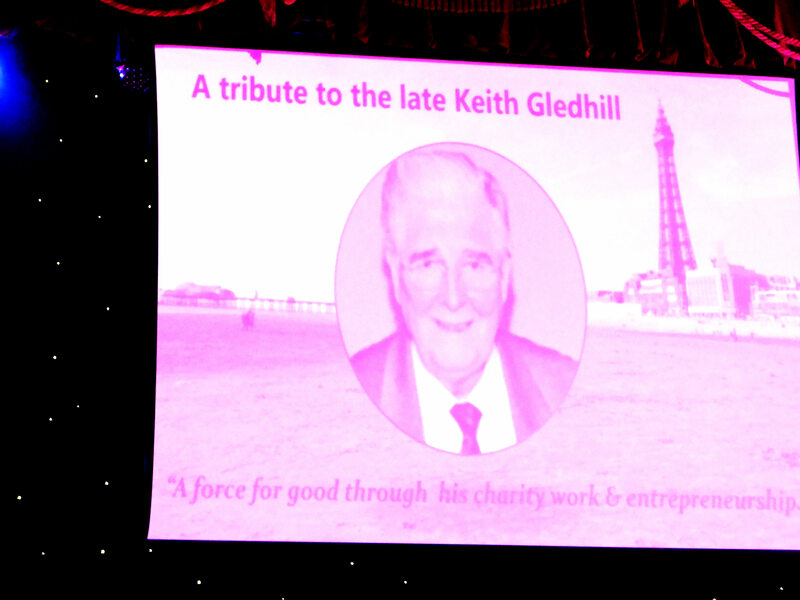 But we were particularly touched to receive an award in memory of, and tribute to, the late Keith Gledhill who is best remembered as the awesome anchor-man of the Talking News celebrity interviews. Keith passed away in October just a few weeks after losing the love of his life, his wife Margaret. “His care and attention for Margaret was legendary,” said MP Gordon. MP Gordon, who knew Keith for many years, hailed his philanthropic spirit as well as his ingenuity and expertise as a leading businessman and his generosity of spirit in putting something back into the community time and again. 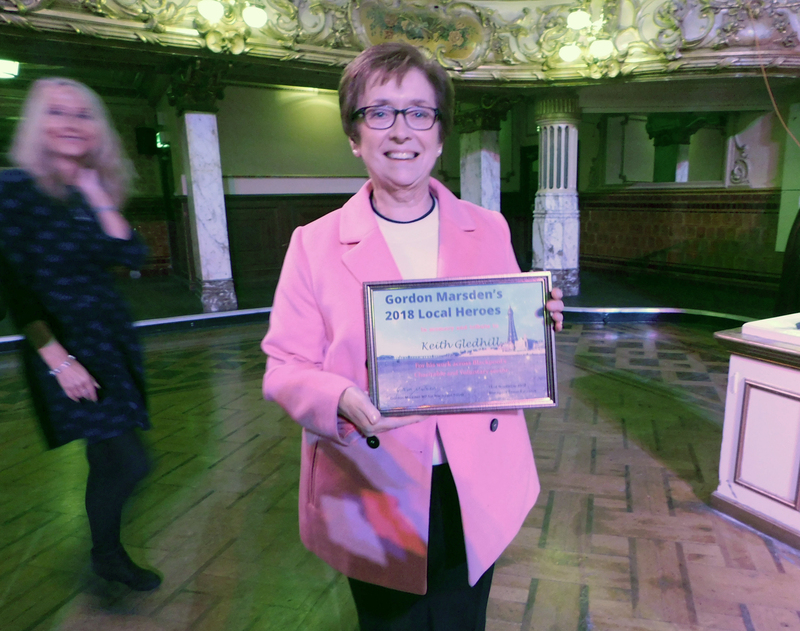 Our CEO Ruth Lambert was invited to the stage to receive the award which will have pride of place at the charity –while another award will be presented to the family by the MP. We were not only charity helped by Keith, but we would like to think that N-Vision held a special place in his heart. As Ruth observed: “Keith was associated with Blackpool Fylde and Wyre Blind Society for many years and a trustee and vice chair. He retired from office in 2014. “However, he is most remembered for his innovative contribution to our Talking News service. Through his contacts he did a lot of interviews with many personalities from the world of business, entertainment and politics including Margaret Thatcher and Neil Kinnock, and others of national and international interest who just happened to be on the QE2 at the same time as him!